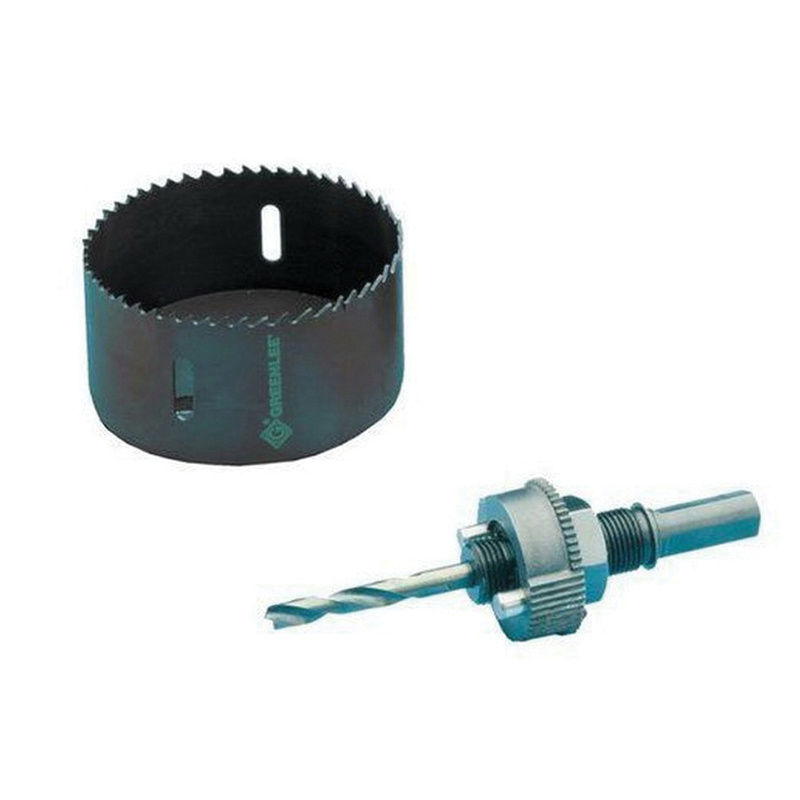 Greenlee Variable pitch hole saw in steam oxide finish, has bi-metal construction for durability. It has a diameter of 1-Inch and pipe tap size of 3/4-Inch. The 1-5/8-Inch cutting depth easily cuts the wood stud measuring 2-Inch x 4-Inch. It features extra thick backplate to reduce vibration to get smoother, easier and less tiring cutting. It is suitable for cutting steel, tin, aluminum, fiberglass, wood and plastic.